The Walled City of Kowloon, in Hong Kong, is believed to have been the most densely populated place on the planet, with up to 35,000 people living within a site measuring approximately 200 by 100 metres. Ungoverned by health and safety regulations, 33,000 families and businesses occupied some 350 interconnected buildings, rising fourteen storeys or more—all constructed without plans, architects, or any regulatory oversight. Although the Walled City was once a hotbed for criminal activity, in later years most residents were not involved in crime and lived quite peacefully within its walls. Vancouver photographer Greg Girard spent three decades working and living in Asia, examining the social and physical transformations of some of its largest cities. Based in Hong Kong as a photographer for Newsweek and Time magazines, Girard began photographing the Kowloon Walled City in 1986 for his own interest. He spent the next five years documenting the “urban dystopia” before it was completely demolished in 1993. Girard co-authored a book with Ian Lambot, recently reissued as City of Darkness Revisited (2014), which documents the compelling history of this social and architectural phenomenon. This presentation is part of a larger exhibition of Girard’s work, Greg Girard: Richmond/Kowloon, on view at the Richmond Art Gallery, April 18–June 29, 2015. 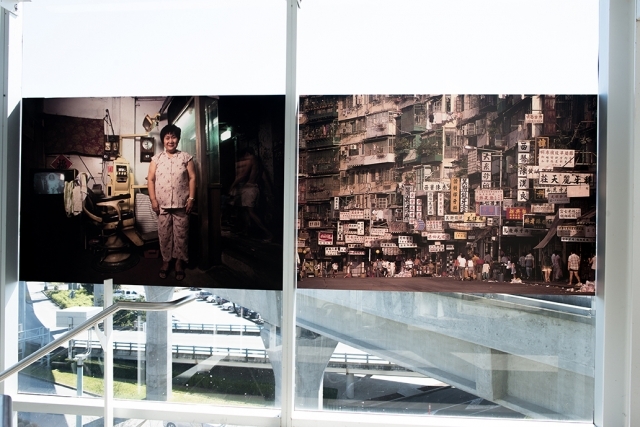 The exhibition includes Girard’s photographs documenting Kowloon Walled City in Hong Kong as well as a new body of photographic images of Richmond, BC, and its residents. 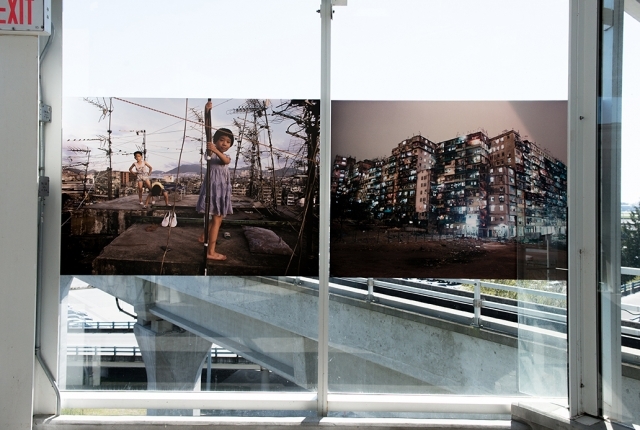 This installation is located in the Canada Line Station Walkway to YVR International Terminal. Presented by Vancouver Airport Authority in partnership with Capture Photography Festival.